Arcturus Marine Systems was founded in 1986 by D’Milo Hallerberg and commenced production of the MiniThruster product line serving domestic yacht and work boat builders. In 1989 the Mini Thruster was replaced by the Magnun Series. Magnum incorporated purpose-designed 6 bladed propellers and set a new standard in the industry for thrust and quiet operation. During this period, Arcturus expanded hydraulic system design to include support for all manner of shipboard hydraulic loads and developed many new control features previously unavailable in the market. In 1993 Arcturus changed its marketing name to American Bow Thruster and also replaced Magnum with the now legendary TRAC gearbox style thrusters. The TRAC thruster was configured with industry leading dual 5-bladed counter rotating propellers providing the ultimate in thrust efficiency and quiet performance. TRAC is available with either hydraulic or electric motor drive. In 1999, after substantial research and development, American Bow Thruster introduced TRAC Digital Stabilizers. TRAC Stabilizers were the first in the industry to incorporate all digital controls, LCD control display with touch screen control, and many other unique features such as lift-enhancing fin winglets and easy fin removal. In the few years that followed the introduction of TRAC Stabilizers, American Bow Thrusters’ share of the world yacht building market soared to well over 50%. In 2005 American Bow Thruster introduced Stabilization at Rest as an option on all TRAC stabilizer systems. STAR provides vessel roll stabilization while at anchor or laying to. To date, American Bow Thruster has produced more “At Rest” stabilizers systems than all other yacht manufacturers combined. In 2007 American Bow Thruster began offering custom Hydraulic Power Unit (HPU) fabrication to its customers. By pre-plumbing many hydraulic components including reservoirs, cooling, and control valves into one compact assembly, HPUs greatly reduce install time for the builder. 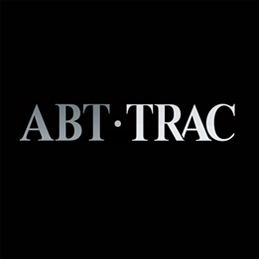 In 2009, recognizing the conflict between our company name and the increasing breadth of products offered, American Bow Thruster changed its marketing name to ABT•TRAC. In that year ABT•TRAC also developed a purpose-built Get Home drive for builders of smaller single screw trawlers. The ABT•TRAC Get Home drive provides a clean, safe, automated option for hydraulically driving the propeller shaft via an alternate hydraulic source in the event the main engine becomes disabled. In 2013 ABT•TRAC shipped its first retractable thruster. The ReTRAC incorporates its own composite assembly housing making installation bolt-in easy. In 2014 ABT•TRAC finalized the design and introduced TRAC•Link, an integrated CAN Bus control system that enables the operator to control thrusters, stabilizers, windlasses, and selected hydraulic loads all from a single control panel. Can-Bus design significantly reduces the amount of cabling and labor during installation. An Android device system interface is under development for TRAC•Link and will be available in 2015. ABT•TRAC will introduce a new electrically-driven stabilizer, the eTRAC, in 2015. eTRAC provides near-hydraulic levels of performance and eliminates the need for any hydraulic support. A new low-profile hydraulic stabilizer, the HydraTRAC, will replace TRAC first generation stabilizer actuators in 2015. HydraTRAC will have a smaller vertical profile, greater power, and reduced cost.